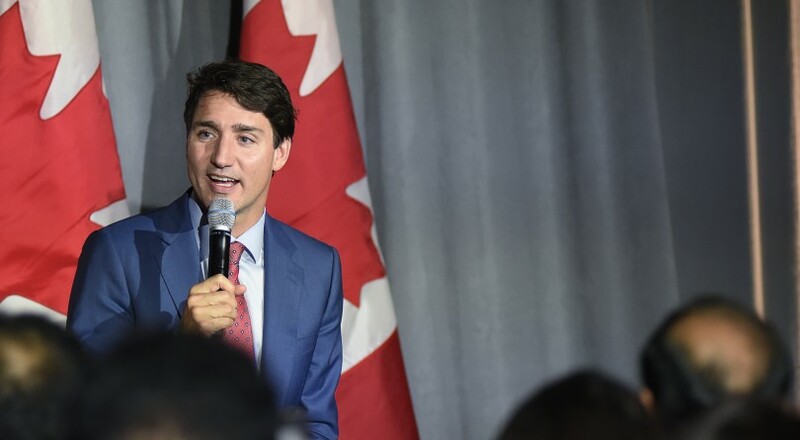 TORONTO — Prime Minister Justin Trudeau launched a push to convince citizens of the value of his government’s upcoming carbon tax today with a promise to give rebates directly to residents of provinces that aren’t bringing in their own tax. Trudeau’s promotion of the tax includes highlighting the government’s plan to offset the hit to a family’s pocketbook for gas purchases with carbon price rebates. For the average Ontario family of four, that rebate will amount to $307, according to CBC News. The rebate amount exceeds the anticipated $240 increase in cost after the tax is implemented. When the carbon tax goes to $50 per tonne in 2022, that same rebate will be boosted to $718 for a family of four in Ontario, exceeding the anticipated cost increase of $564. Trudeau said on CBC radio in Toronto today that future generations will look back at this time and see it as having been a “last opportunity” to act to reduce carbon emissions. Further details are being announced through the day, with cabinet ministers making announcements in Saskatchewan, Manitoba and New Brunswick. British Columbia, Alberta and Quebec all clearly meet the federal threshold of having a price on carbon of at least $20 a tonne as of Jan. 1. Are U.S. casino winnings taxed?